We talk about the career of the best-selling Egyptian novelist Alaa al-Aswany – who like many other artists is on the outs with the country’s military regime now. Also, about Shakespeare productions and censorship in Gulf countries; and book reviews in the age of online algorithms and the culture of positivity. In this episode we rave about an Omani novel – a multi-generational saga that is “anti-romantic and anti-nationalistic.” We also discuss a dark family road trip through Syria, and works from Lebanon and Morocco. And we delve into the larger question of how much a writer’s identity and experience gives him or her the right, or the ability, to tell certain stories. We spend most of this episode discussing the work and life of the Syrian playwright Sa’dallah Wannous, and how strongly it relates to repression, resistance and art in the Arab region today. What should you recommend to someone who is interested in exploring Arabic literature? We tackle this big question this week; we also talk about the authors short-listed on the International Prize for Arabic Fiction and about North African literature in English translation. This episode is almost entirely dedicated to the work of the Moroccan film-maker, novelist, artist, and poet Ahmed Bouanani – much of which has yet to be released, and much of which was censored or destroyed in his own life. We overcame communication blocks and interrupting children to speak to the poet Zeina Hashem Beck about how she’s given herself permission to write poems that move between English and Arabic. We also discuss James Montgomery’s heart-breaking essay on grief, memory, trauma and translating a 7th century Arabic poet famous for her elegies. In this episode we talk about recent developments in Cairo, kids’ literature in Arabic, Naguib Mahfouz, and the launch of Marcia’s new project, the literary magazine ArabLit Quarterly . This week we talk to an old Cairo friend, acclaimed Egyptian artist Ganzeer, about art, propaganda, publishing and how much damn work it is to put out a graphic novel. We talk about looking down on dialect; passing literary theft off as “salvation”; the beginning of awards season; a book that is a fragmented portrait of Jerusalem; and our fellow podcasters in the region. We talk about the relationships between education and literature; about a devastating entry in the prison memoir genre, from Syria; about the legacy of V.S. Naipaul; and about why Kuwait is the worst offender in the region for censoring books. We talk to humorist Karl Sharro about the origins story of his Twitter alter-ego Karl ReMarks and about finding the ideal online nemesis. Marcia takes issue with a new book listing the “hundred best novels in translation. In which Ursula and Marcia discuss how much innocence American can claim when abroad, and the urge to write expatriate diaries in one’s twenties; they also talk about the new collection Marrakech Noir; and about the never-ending debate over Classical versus Colloquial Arabic. 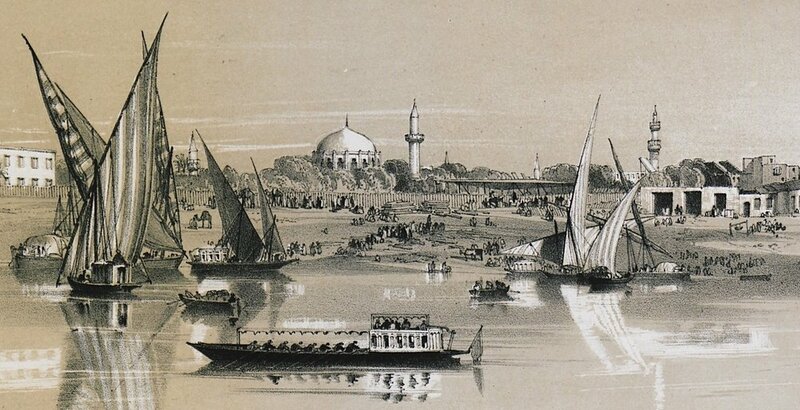 Inspired by a fiery essay by an Egyptian professor, Ursula and MLQ discuss cosmopolitanism, nostalgia, and literary representations of the city of Alexandria. Marcia also talks about three new books – from Iraq, Southern Sudan and Lebanon/London. She loved two of them. We discuss Marcia’s recent interviews with professors teaching Arabic literature in translation; an essay by Lebanese novelist Rabih Alameddine’s in which he picks apart “world literature” and foreign writers – such as himself – who act as “tour guides”; and a book that is an ambitious overview of modern art in the Arab world. Ursula and Marcia talk about the novel Tales of Yusuf Tadros – about a Coptic Christian and aspiring artist living in the provinces -- and the playful, genre-bending Kayfa Ta (“How To”) series. They also discuss sexism in literature and whether we can do without the Nobel Prize for Literature. In this episode, we talk about debates surrounding Western military intervention in Syria; about Arab American writer Randa Jarrar and her Twitter rant against the late Barbara Bush; and about whether there is any alternative to the term “Arab world.” Also Ursula has a squeaky chair. We spend most of this episode talking about two books: the late Arwa Salih’s Stillborn, a memoir of and reckoning with her time as a Leftist student militant in Egypt in the 1970s; and Rabai al-Madhoun’s novel Fractured Destinies -- about lives constrained, conflicted and divided in Palestine. In which Marcia talks about her difficulties being interviewed; we discuss genre (sci-fi, fantasy, and especially noir) writing in Arabic; and we question whether translation into English “empowers” women writers from the Arab region.